Ezell's has long held a place in my heart as being the source of the best fried chicken on the planet. Admittedly, it's been years since I had last been to one of their restaurants namely the Skyway (Renton) outlet. My memory is of amazing crispy but tender juicy chicken with a nice spiciness. You know, what we always hope for! And I knew that Oprah was never wrong! I have been meaning for a long time to take Marie and prove that it was superior to her beloved Jollibee. So we got a chance to try their stuff at the Bellvue location this past weekend. Obviously, we ordered chicken. Four pieces comes with 2 sides and 2 buns for $12.99 so decent pricing. 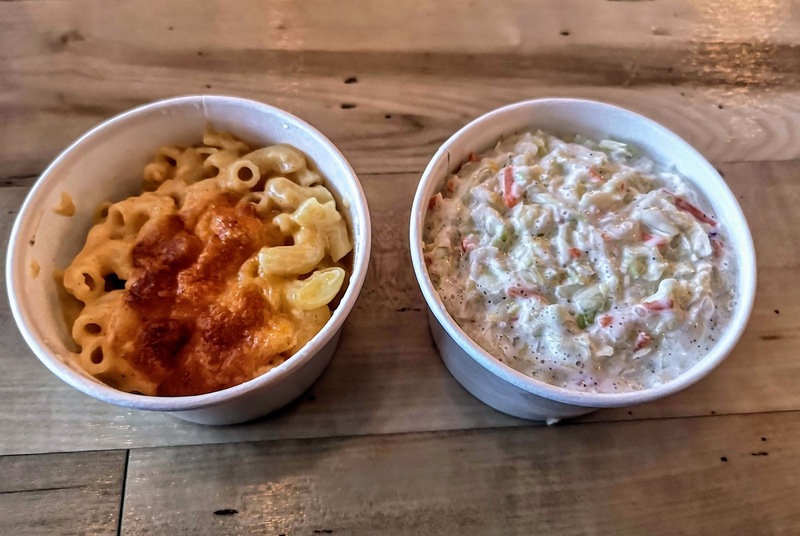 The Mac and Cheese had a melted cheese topping which made the whole thing rich and comforting. The slaw was creamy and refreshing. You can only ask so much of fast food sides. 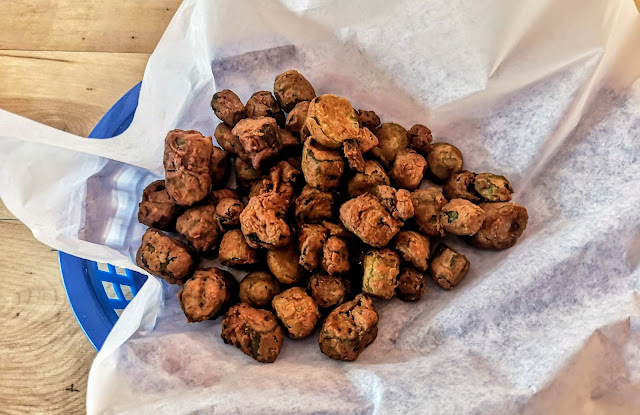 We also ordered Deep Fried Okra. This is made to order and so takes a few minutes. It would not be good to have these things waiting under a heat lamp. They were crisp on the outside but of course its okra so it wouldn't stay that way long. They could have used salt but we enjoyed these little bites anyway with some hot sauce. Finally to the chicken. We asked for 2 pieces of spicy and 2 pieces original. I grabbed a piece of original and tucked in. My expectations were largely met (memories tend to get exaggerated over time) as the meat was tender and juicy as advertised. On my partner's face, however, was a look of less enthusiasm. "What's wrong? ", I asked. Surprisingly, her piece of spicy chicken was on the dry side...like tough dry! The other 2 pieces were somewhere in the middle. So while I got the best piece, the rest, by luck of the draw, were nowhere near as good. My guess is that some of the pieces had been under the heat lamps for too long. Picture me with a disappointed face!...Well the buns were really good! Someone alert Oprah! 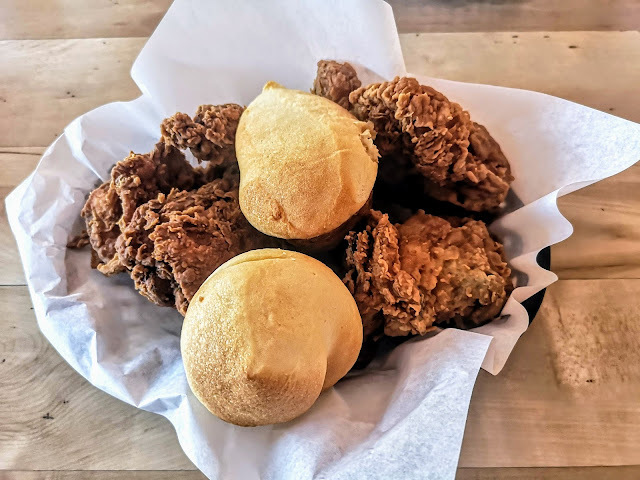 Win-Win Chicken in Steveston remains our favourite. Yes, Jolibee is number two! And Ezell's (and Heaven Sent; made by the same guy Ezell) falls mightily to number three. Make sure that you specify or have a hand in getting freshly cooked pieces! 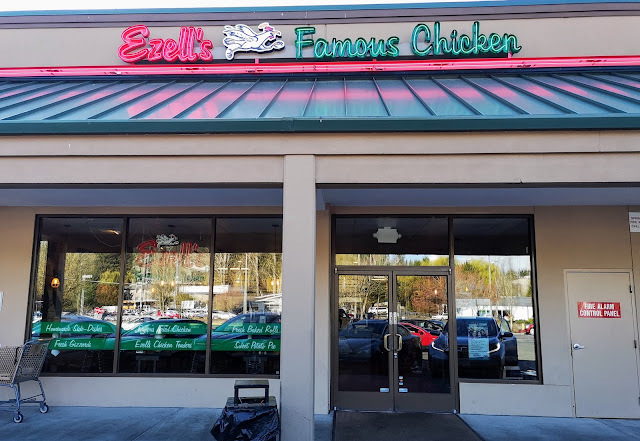 We give Ezell's Famous Chicken 3 out of 5.